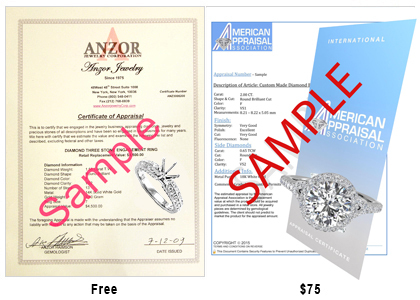 Anzor Jewelry - 14k Gold Emerald Diamond Stud Earrings 1.20ct. 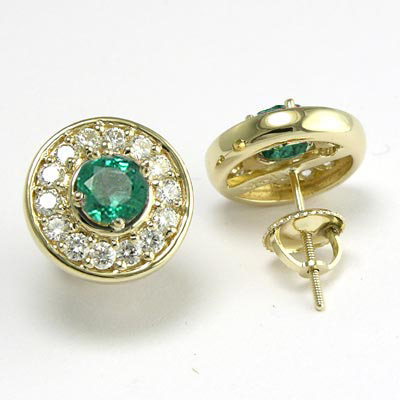 14k Gold Emerald Diamond Stud Earrings 1.20ct. Lively rich green tones will draw the eye to two fine quality netural genuine emeralds. Fourteen sparkling diamonds border each emerald in these lovely 14k yellow gold stud earrings. Each earring is fastened with a screw back lock for a secure closure.